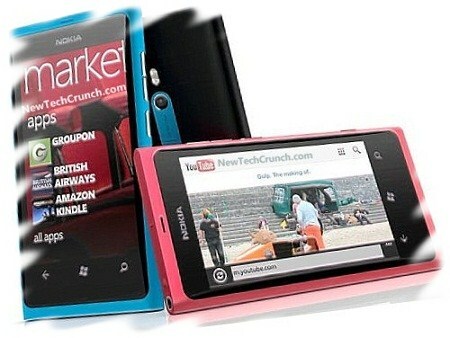 The company Nokia showed its quarterly report and do not get the expected sales to Nokia Lumia. The company expected to emerge in the Smartphone market with the line Lumia and Windows Phone, but the results are very different from what they wanted to achieve. Nokia aims to return to the position they had as a manufacturer of mobile phones with its new models with Windows Phone Lumia governed, but nobody said it was easy, much less with rivals like Apple and Samsung to dominate this market. Unfortunately for the company, Nokia Lumia is not delivering the results they expected, and everything indicates that this is due to Symbian. This year had a loss of EUR 826 million, achieving sales of 7,500 million Euros, and although an improvement compared to the first quarter of 2012 compared with losses of 1,400 million Euros last year, not much progress. Nokia has sold 10 million Smartphone’s, of these, only 4 million are mobile with Windows Phone, this represents a 39% less than it sold last year during the second quarter. In total, 60% of models sold and 40% of Symbian Windows Phone models. As for the operating system, Windows Phone on track, especially with the version of Windows Phone 8, but agreement as to Microsoft and Nokia to integrate this system to Lumia may not be as beneficial to Microsoft, since no have obtained the expected gains, let alone in America, where Smartphone’s have been sold only 600.000. Only time will tell who will be this alliance and what's next for Nokia.